It is now easier for New Jerseyans with criminal records to pursue employment opportunities without fear of rejection because of their past crimes. Former Gov. Chris Christie signed expungement reforms into law at the end of last year that became effective on October 1, 2018. Expungement is the removal or sealing of a person’s full criminal record, including all files with the court, detention centers, law enforcement and other justice agencies. It is now quicker and easier to have criminal charges erased from a person’s record permanently, making being hired for a job more feasible. These changes will help people who have committed minor crimes, such as certain drug offenses, or have a dismissed case or a juvenile matter on their records, who decades later still have a hard time being hired because of their criminal records. Those in that situation can now reclaim their lives and strive for economic growth and stability like everyone else. New Jersey allows for the clearance of an entire juvenile record after the waiting period is completed. S3308 cuts down the waiting period to expunge a juvenile criminal record from five years to three years. Other eligibility factors for expungement remain in place, such as not having been convicted or adjudicated delinquent for any offense during the waiting period and not having current adult or juvenile charges, among others. Regarding adult criminal records, S3307 reduces the required waiting period for expungement from ten years to six years, after the completion of all prison time, post-release monitoring and the payment of fines. It increases the number and type of offenses that can be erased, including marijuana offenses. The new law also permits the removal of as many as four – previously three – convictions and increases the number of offenses that can be expunged within a crime spree, which are related offenses that occurred within a short period of time. Another reform in the state’s expungement laws is S3306, which expands the existing “Opportunity to Compete Act”, also known as “ban the box” legislation, signed by former Gov. Christie in 2014, to prevent employers from asking about expunged offenses in job interviews or on written and online employment applications. In New Jersey, getting a criminal record expunged can be a lengthy procedure that requires a record-gathering process of compiling arrest records, indictments, summonses, docket numbers, warrant records, and other relevant pieces of information. After compiling such records and filling out and notarizing the appropriate petition form, a person must file and serve them to a court. 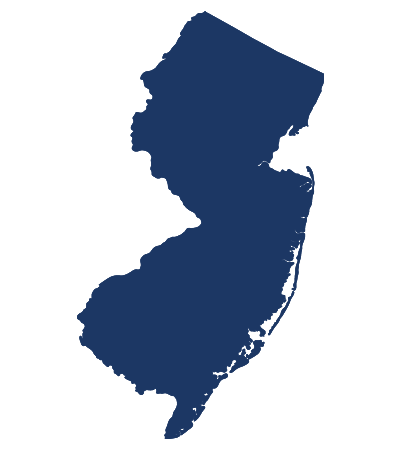 It is important to note that certain offenses cannot be expunged in New Jersey. Those include murder, robbery, aggravated sexual contact, kidnapping, arson and terrorism. For all other offenses, removing the barriers to achieve successful employment to individuals who have served their time and completed rehabilitation is a step forward to allow them to re-enter society and compete fairly in the job market with others. If you are a resident of New Jersey and have questions regarding the new expungement laws that protect individuals from unlawful hiring practices, you may want to consider contacting an employment lawyer.